The Consumer Electronics Association released a report on Tuesday in which it said the overall consumer electronics industry is expected to grow 5.9% this year. As a result of that growth, the association stated industry sales will pass $206 billion in 2012 — the first time the industry has surpassed $200 billion — and will grow an additional 4.5% in 2013 to a $215.8 billion in sales revenues. Connected device sales were the primary catalyst behind the growth, the CEA said. Tablet sales are expected to hit $29.1 billion in revenues from shipments this year, which represents an 83% growth over last year and more than $10.8 billion than the industry group projected back in January. 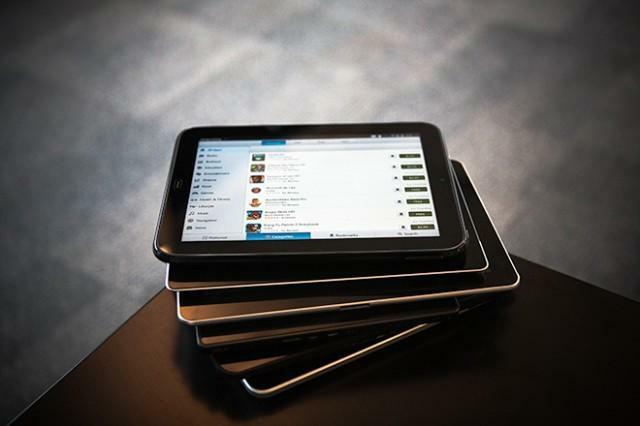 The group said it expects more than 68.5 million tablets to ship by the end of the year. Likewise, the CEA projects that 108 million smartphones will be shipped by the end of the year, pushing shipment revenues to $33.7 billion — or 24% more than shipment revenues in 2011. Laptop sales are increasing, despite claims that tablets are killing off PCs. The CEA found that 21.3 million laptops are expected to ship to dealers this year and that revenues from sales should hit $14.9 billion. 3D Television sales are expected to increase 104 percent over 2011, the CEA noted, and shipment revenues are expected to increase 75% to $7 billion this year. Arlington, VA – 07/24/2012 – The consumer electronics (CE) industry will see stronger than anticipated growth in 2012, according to the semi-annual industry forecast released today by the Consumer Electronics Association (CEA)®. The overall CE industry will grow an estimated 5.9 percent in the U.S. this year, two points higher than previously projected in January.The U.S. Consumer Electronics Sales and Forecasts (July 2012) projects that industry sales will surpass $206 billion this year, the first time yearly industry revenues in the U.S. are expected to top the $200 billion mark. Sales growth is projected to continue into 2013, when industry revenues will likely grow 4.5 percent, reaching $215.8 billion. Tablets are expected to reach $29.1 billion in shipment revenues this year, $10.8 billion more than forecasted in January, representing 83 percent sales growth year-over-year. Unit sales are expected to reach 68.5 million. Smartphone sales will also see continued growth this year and will remain the primary revenue driver for the industry. Shipment revenues for smartphones are expected to reach $33.7 billion in 2012, with more than 108 million units shipping to dealers, up 24 percent from 2011. Laptop sales continue to increase as consumers demand mobility in computing solutions. Led by the introduction of ultrabooks, overall laptop sales to dealers are expected to reach $14.9 billion, with 21.3 million laptops shipping to dealers. “Tablets are the fastest-growing product category in the history of the CE industry, and sales will continue to increase as more products hit the market, offering consumers more choices in size, price, operating systems and app ecosystems,” said Steve Koenig, CEA’s director of industry analysis. “With U.S. household penetration of smartphones surpassing the 50 percent threshold, we’re seeing slowing sales of dedicated devices, as consumers seek singular devices that can perform multiple functions. We expect this trend to continue into 2013.” Sales of innovative digital displays continue to increase despite an ongoing decline in overall TV sales, and remain critical to the industry’s bottom line. Unit sales of networked-enabled TVs are projected to surpass 10 million, growing 56 percent in 2012. Shipment revenues will reach $9 billion, up 20 percent year-over year. Sales of 3D-enabled displays are also growing. Unit sales in 2012 are expected to reach 5.6 million, up 104 percent year-over-year. Shipment revenues will jump 75 percent, to more than $7 billion. The U.S. Consumer Electronics Sales and Forecasts also shows that continued consumer demand to integrate mobile devices into the vehicle has led to increased sales for in-vehicle electronics. As seen at the 2012 International CES, car companies are building more technology into the vehicle. Overall sales revenues for factory-installed systems is expected to increase $1.6 billion in 2012. The integration of mobile devices is also helping in the aftermarket. Unit growth for head units equipped with internet radio control or apps is projected to grow by double digits in 2012.The U.S. Consumer Electronics Sales and Forecasts (July 2012) is published twice a year, in January and July. It was designed and formulated by CEA to be the most comprehensive source of sales data, forecasts, consumer research and historical trends for the consumer electronics industry. Please cite any information to the Consumer Electronics Association (CEA)®. The complete report is available free to CEA member companies. Non-members may purchase the study for $2,000 at theCEA store.